Rockstar’s record-breaking last-gen GTA V may be a year old, but the developer is making sure that the remastered version of the game for the latest consoles and PC comes across with much more than just boosted visuals. 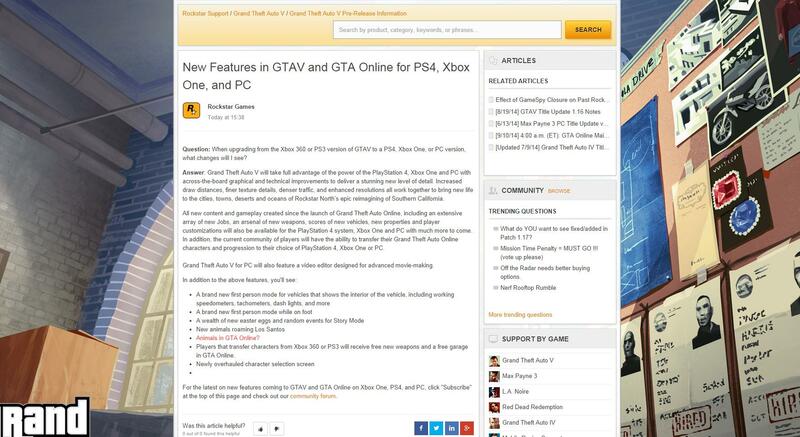 Set to launch for the PlayStation 4 and Xbox One this year on November 18, and for PC next year on January 27, the next-gen GTA V has a lot of rumors and leaks going around about it, and here is the latest one that presents a supposedly pulled page from Rockstar Game’s website that lists first-person mode on foot and in vehicle for the upcoming game. Featuring enhanced visuals, textures and character optimizations, the upcoming remastered version of Rockstar’s all-time hit last-gen title called GTA V crunches the power out of the latest consoles and PC to offer much more immersive and engaging gameplay experience, but that is not all, the developer is also adding additional features that were not available on the last-gen version of the game, such as all new weapons, vehicles, activities, denser traffic, new wildlife, enhanced radio stations that come with more than 100 new songs and DJ mixes, and now it looks like the next-gen GTA V is also getting a first-person mode. The new info comes from an alleged update that was accidentally published by Rockstar on its official website, and was then taken down immediately. However, the update has been preserved as a cache on Reddit. It lists all new features that the upcoming next-gen version of the game will come packed with, including first-person mode on foot and vehicle. You can check out the entire list below. 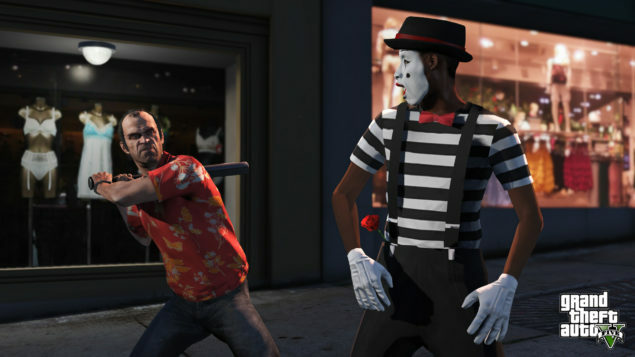 GTA V will arrive for PlayStation 4 and Xbox One on November 18, and on January 27 for PC. Rockstar released some new details and screenshots of the game which you can check out here.